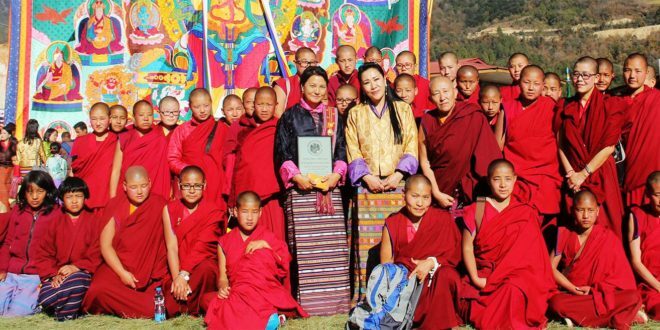 With the strong urge to give back to the Bhutanese society and put her learning into practice for a greater cause, Dr. Tashi Zangmo, 55 returned back home from the States after her studies and headed the Bhutan Nuns Foundation (BNF) in 2009 as its Executive Director. Dr. Tashi, who was the first girl from her village and family to go to school, hopes to improve the lives of every girl and woman in the country. 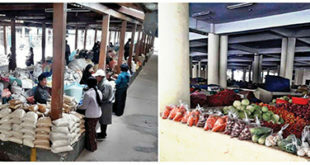 BNF was established in 2009 under the Royal Patronage of Her Majesty The Queen Mother, Ashi Tshering Yangdon Wangchuck. BNF strives to uplift the quality of life and education of all Buddhist nuns across the country, regardless of sectarian differences and present various opportunities for the individual nuns to make a difference in society. Dr. Tashi Zangmo has been recently listed as one of the 100 most inspiring and influential women in the world for 2018 by the BBC. She said that the recognition came as a total surprise to her as she was completely oblivious about her consideration for the ‘BBC 100 Women’ list until the last moment of the announcement. BBC 100 Women is an annual season on BBC News which shares the stories of women around the world. As a Buddhist country, Dr, Tashi said that most people seek interventions of the religious people to receive comfort or spiritual counseling during bad times. It is for this reason that, she deems it important for even the religious person to have the basic skills of counseling in order to impart their spiritual message with clarity and efficiency. In the absence of nunneries with adequate facilities to host workshops, train the nun trainers, and hold conferences, a training center is under construction by the BNF to cater to such needs for the benefit of the nuns and laywomen wishing to pursue the spiritual path. 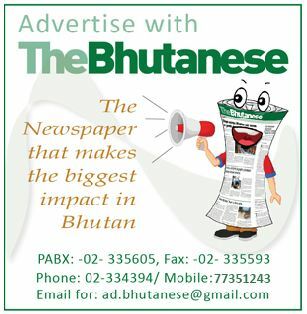 Bhutan today has 28 nunneries across the country. BNF is also a platform for the nuns to come together and promote solidarity within the spiritual learners. BNF has created opportunities for the nuns to come together and has conducted numerous workshops and training where the nuns are trained to be public speakers and teachers, unlike in the past when the nunneries only had monk teachers. “We have also had a national and an international conference. With the aim to break the taboos on menstruation, the nuns are also educated on menstrual hygiene and taught to make sanitary pads,” said Dr. Tashi. Dr. Tashi was born in Wamrong and after her studies, she served as a Secretary in the civil service in the 1980s. Later, out of her own interest, she went on to pursue Buddhist studies from Centre for Higher Tibetan studies from Varanasi, India as a layperson. After that, she went to the United States and acquired a second BA Degree in Developmental Studies from Mount Holyoke College. That wasn’t the end to her learning- for she then continued her higher education in the States and received her Master Degree and PhD from the University of Massachusetts, Amherst. “It’s an honor and I’m very humbled to be part of all the amazing ordinary women doing extraordinary work around the world. I’m very grateful that I am one among them,” said Dr. Tashi Zangmo. The Executive Director said that she would like to attribute such recognition by an international platform to the visionary leaders of Bhutan, whom she said, has kept up to the standards of the world. 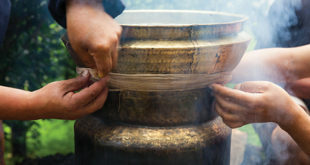 “Bhutan has contributed unique concepts to the world like GNH and preservation of the natural environment and culture among such feats. I think the concepts are unique to the world and I am of the view that the jury were looking for someone who has carried out works that align with the goals of the country. And as it turns out, our works at the BNF also align very clearly with such goals. So, I think they took that into account to consider me for the list,” said Dr. Tashi. “I would also like to credit this recognition to our Royal Patron, Her Majesty The Queen Mother, Ashi Tshering Yangdon Wangchuck who has been a great source of inspiration to me and has always strived towards the betterment of the foundation every day,” said Dr. Tashi. The Executive Director said that given the aims and objectives with which the foundation functions today, she would like to see nuns making it to the BBC 100 women list in the future. Dr. Tashi was also honored with the Mary Lyon Award from her alma mater Mount Holyoke College in 2009, for sustained achievement in her life after recognizing her remarkable works through the BNF.